According to these new guidelines, many people now are considered to have high blood pressure. For those in the early stages, lifestyles changes are crucial. 1) A blood pressure less than 120/80 is normal. 4) Hypertension stage 2 is equal or greater than 140 or ≥90 mm Hg. If you have concerns about your blood pressure, please talk to your doctor. 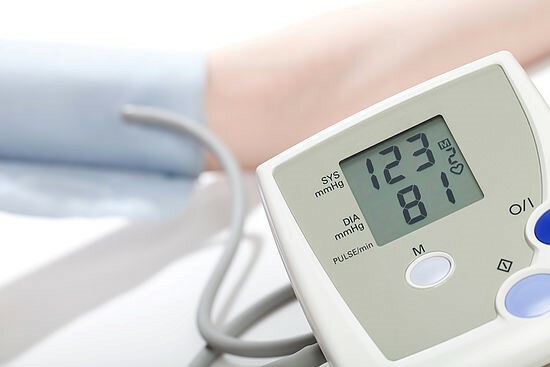 Before labeling a person as having high blood pressure, the blood pressure needs to be observed to be elevated on 2 measurements on two occasions and with at-home monitoring as well. Work with your doctor to establish if your BP is too high and if you need to be on medication. In 2010, hypertension (high blood pressure) was the leading cause of death and disability worldwide. The risk for heart disease and stroke goes up in a linear fashion with increasing blood pressure. A 20 mm Hg higher systolic BP (the top number) and 10 mm Hg higher diastolic (lower number) are each associated with a doubling in the risk of death from stroke, heart disease, or other vascular disease. In people over the age of 30, high blood pressure is associated with increased risk for heart attack, heart failure and stroke. When other risk factors like smoking, overweight and obesity, diabetes, increased cholesterol, lack of exercise, unhealthy diet, stress, and sleep apnea are present, these increase your risk further. Each lifestyle change can typically be expected to lower your blood pressure by 5 mm Hg for systolic (top number) and by 2-4 mm Hg for lower number. Diet changes can decrease it by 11 mm Hg! Bottom line: Lifestyle changes are essential and they work! Reduce your weight if you are overweight or have obesity- even a 5% reduction in your weight has positive effects on your health! Eat a diet low in sodium and rich in potassium. Increase fruits, vegetables and whole grains. Reduce stress! Find ways to unwind and unplug from your devices daily. Discuss with your doctor if you need to be on medication. Based on your risk profile (if you have other risk factors, your age, and your calculated 10 year risk), you may benefit greatly by being on medication to treat your blood pressure. Get screened for secondary causes of blood pressure. Your doctor will determine if this is necessary. Follow up closely with your doctor if you have issues with your blood pressure to make sure the changes you are making are enough! I hope you found this information useful. Share the new guidelines with your family and friends and if they have concerns, have them speak to their doctor. It will make a difference!